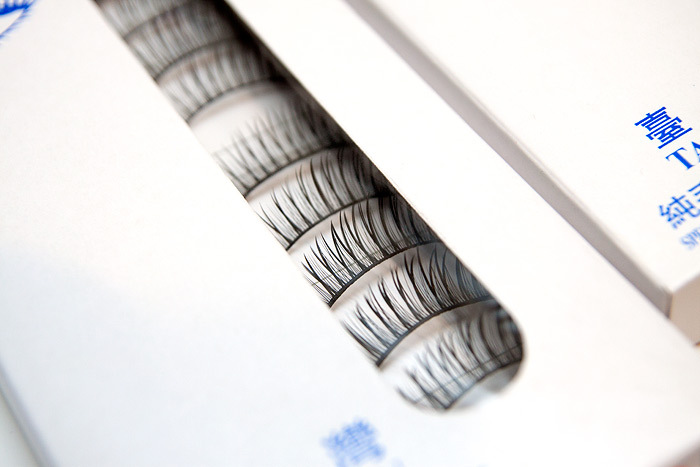 If you’re looking for beautifully silky, thin banded, flexible lashes…. you should close this page. If you’re looking for robust, striking, shockingly cheap lashes that you can use to fine tune and hone your lash applying skillz, read on! I decided about a month ago that I wanted to learn how to apply false lashes (as you do) and so I started buying up pairs of Ardells that I found in T.K. Maxx. Lovely lashes they are indeed but at £2.99 a pop – not the best for a n00b who doesn’t know how to apply OR (more importantly in terms of lash preservation) remove the damn things without destroying them. I went through 6 pairs before I decided that what I needed was the eyelash equivalent of a WWII Nazi Panzer tank. Something that would withstand my ham-fisted attempts at elongating my own lashline. Enter these false eyelashes from eBay seller GlamLabel. The seller, based in HongKong dispatched immediately… but unfortunately the post is painfully slow from the far east at the moment, so they took over a month to arrive. Not the seller’s fault… but something to be aware of if you thought you’d be able to buy them in time for the New Year. You get 20 pairs in two sets of 10 pairs each. One is a more natural “day” lash, whilst the other is more dramatic and appropriate for going out. 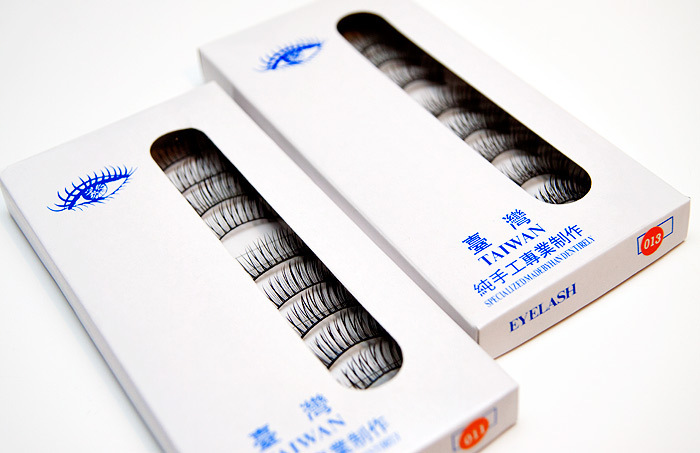 The lashes feel plasticky… they’re quite coarse and need softening up before wear. To do this, I spend five minutes flexing them which works well to loosen up the band and make them easier to apply. Application was actually a bit of a doddle… I genuinely believe that this is down to the fact that they aren’t as soft, fluffy or good quality as more premium brands. They didn’t flop about as I was trying to apply the glue and they didn’t buckle under the pressure of my sausage fingers trying to smoosh them about on my eyelid to get them in the right place. See that crappy dangly end? Yeah… chop that. Infact, because the band is thicker and the lashes heavier than good quality ones, I chopped them about 3 lashes from the outer edge to make the band a good bit shorter. I didn’t want them stabbing me in the outer corner of my eye. What d’ya think? As always with false lash photos, they’re far more obvious looking in the photo than they are in real life. 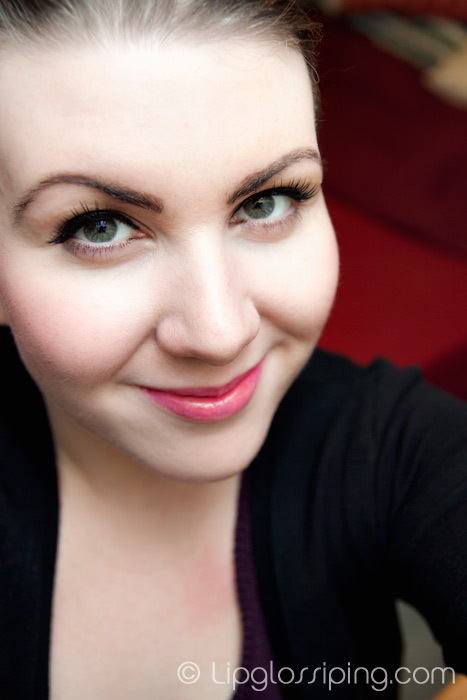 Ignore the funky brows… at the time of taking this photo they were still a “work in progress”. This set of 20 lashes cost me the same as one pair of reduced Ardell lashes… until I’m a false lash maestro, I know where I’ll be spending my money! 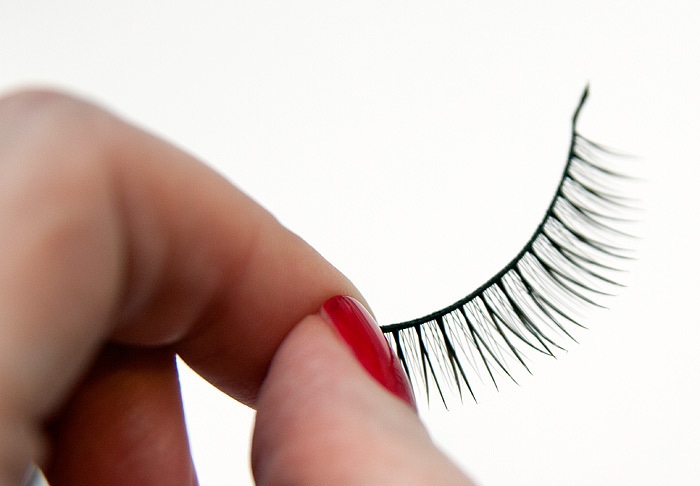 Do you buy cheap false lashes or do you only invest in quality? Some more beautiful brights for Summer-loving Nailistas! Birthday Nails featuring Urban Decay and Color Club!